Origami – the traditional Japanese art of folding paper – has never appealed to me. That was until someone came up with the idea of an origami canoe, although made of plastic, not paper (that would be disastrous). 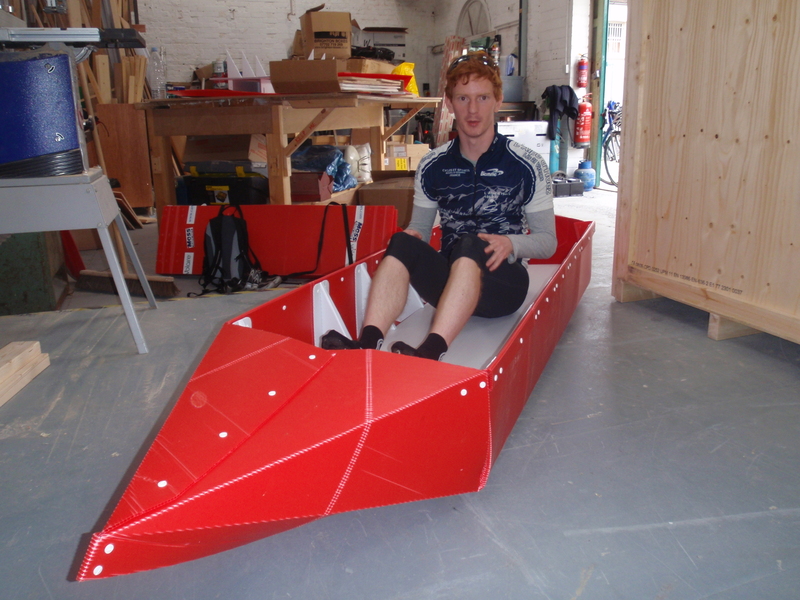 Tom and I cycled to Brighton, where the canoes are being developed, to see if it really is possible to fold plastic into the shape of a canoe. Rather than battling London traffic for 20 miles, we caught a train to Reigate, then cycled the remaining 45 miles to the south coast. Rather than taking the traditional, cross-Ditchling Beacon route to Brighton, we leapfrogged the South Downs via Devil’s Dyke. The landmark – a V-shaped valley – is so named, according to legend, because the devil dug the glen to drown the parishioners of the Weald. 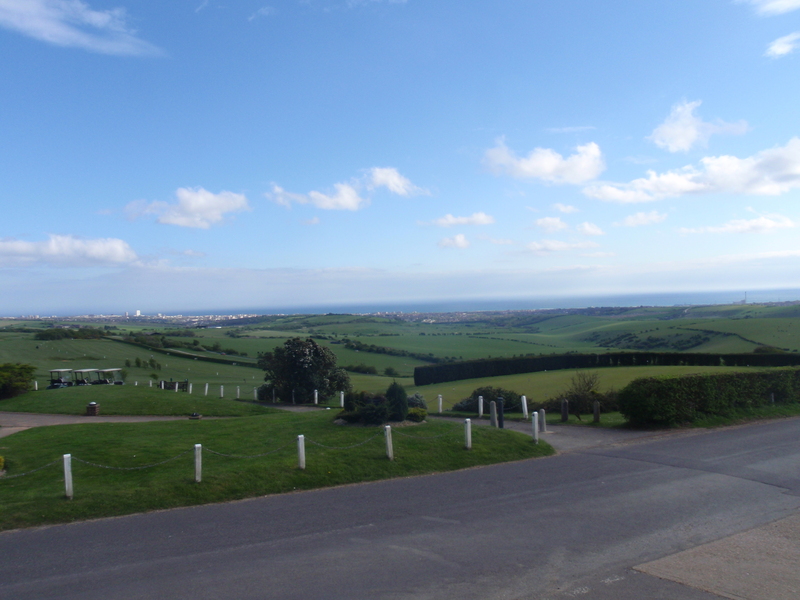 From Devil’s Dyke, the descent to Brighton was glorious: fast and furious. And so to the canoes (or origanoes, as they are called). The handmade, flat-packed canoes (not on general sale, yet) are designed and made by Plunge Productions in a studio near the city. 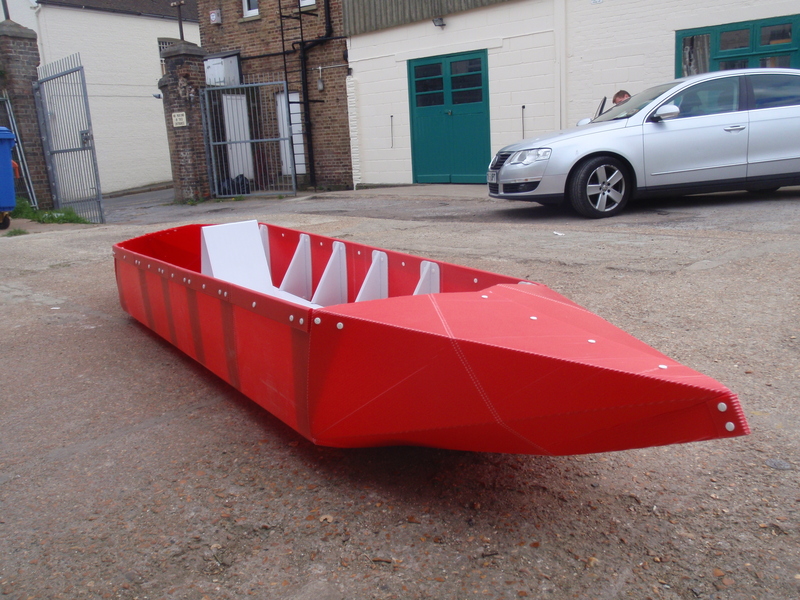 They are billed as the cheap, lightweight (weighing around 10kg) alternative to expensive, heavy canoes, and have already been tested – with success – on a trip along the entire stretch of the navigable, non-tidal Thames. Which is just as well, as Tom and I will be paddling the canoes for ourselves on the Thames later this month. Tim Simpson, the creator, has also used them to get around the waterways of Kerala in south-west India. He envisages that the canoes, which are held together by plastic plugs, could one day be airlifted into flood-stricken regions. They are, I think, a bold, innovative (if not quirky) idea; I would buy one. I see they make them in colours to match Tom’s hair!! !